Our gate company offers a full array of professional services designed to keep swing and sliding systems of all makes and brands in top shape. We have the skills and expertise to implement the most effective solution to any problem affecting the hardware parts, panels and electronic components. 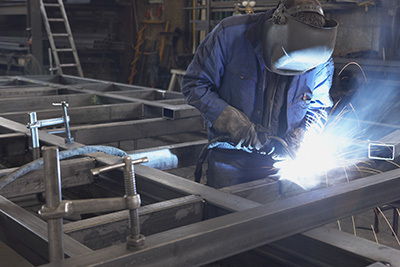 From hinge welding repair to electric operator troubleshooting, we do everything perfectly. Our same day emergency service is readily available for dealing with urgent issues like broken chain or lost clicker. With our gate maintenance service, the risk of problems is reduced to the possible minimum. We provide full care plus preventive component repair and replacement to ensure that the optimal levels of safety and functionality are preserved. When the time for a new system comes, we are at your service for the perfect new gate installation. Do you have a broken fence or gate, and are not sure how to fix it? Are you now searching for a reliable and trust-worthy company to handle these repair situations for you? Why delay any longer? Today is the day that you should give our San Diego gate company a call. Do you have any issues with your gate or fence that needs to be attended to immediately? If so, our emergency 24-7 service would be just right for you. Some of our repair and install San Diego services include that of: custom made or wrought iron fences or gates, and intercom and phone entry systems. We are the company that you should call whenever you need any gate or fence repair and install services in San Diego. One of the most common services we offer at our San Diego Company is that of gate installation and repair, inclusive of driveway gate openers, which we also make and sell. If you already have a driveway gate opener that needs repairing, that is no problem for us, as we can fix that for you too! Other repair services that we provide are: broken hinge, post, hinges welding, and gate repairs. If you want the best company to do these services for you then, all you need to do is give our San Diego Company a call. We are proud to say that our driveway gate company offers services to both commercial and residential properties, including the repair and replacement of broken springs and other parts of your gate or fence. Even though you may be able to do some of these repairs by yourself, it is always best to allow a licensed professional to attend to these repairs. Our driveway gate company in San Diego is a professional one that can help you solve all of your gate or fence issues. Our company offers a lot more services than those mentioned above, inclusive of iron work services. We sell iron-made products such as: pool enclosures, security doors, window guards, railings and guards, and much more. With the excellent services that we offer and free price estimate, you need to give us a call right now!